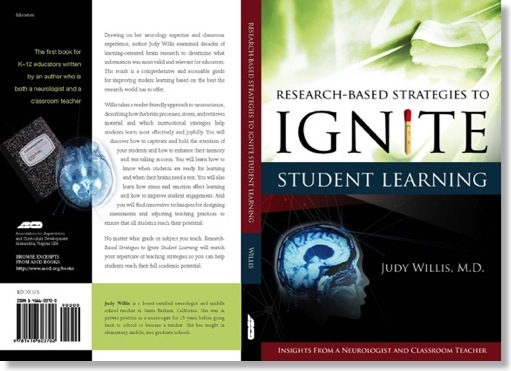 Judy Willis is a leading thinker on how to apply new brain research to better promote children's learning. Below is part 1 of an interview with Dr. Willis. Check out her video on Edutopia, which we aired at the How Kids Learn conference. Q: Can you briefly tell us about your background and current career in education, and why you made this change? A: The school experience started changing about 12 years ago with over-stuffing of the curriculum – more and more wrote facts for children to memorize starting in first grade. Many more children were referred to my office by teachers who thought they might have neurological conditions. It turned out what looked like ADHD, OCD, and staring spell “petit mal” epilepsy were not the problems. These children’s brains were going into survival mode from the stress of boredom and frustration. I investigated the potential source of this huge jump in referrals. The kids, when I evaluated them, usually didn't have any of these conditions. The cause, as I observed was in the change in classrooms where the pressure to pack too much information into students’ brains was changing the part of the brain in which children were processing information and emotions. In the stress state, input does not reach the highest, reflective and cognitive brain (prefrontal cortex) where it needs to go to become memory. Stress diverts flow to the lower “reactive” brain where the outputs are limited to the same type of responses of other mammals when they are stressed: fight, flight, and freeze. In the classroom these same involuntary reactions to stress were the reasons students appeared to be “acting out” or “zoning out”. I believed my background as a neurologist and neuroscientist could help me teach students so they could acquire the required material in memory, but do so with the joy and positive connections to learning that would reduce the damage they were experiencing from chronic school-related stress. I went back to the university, earned my teaching credential and masters in education, and for 10 years taught elementary and middle school. 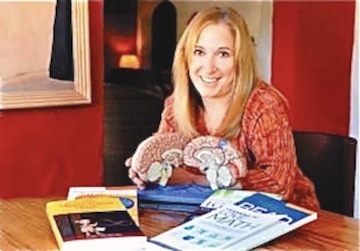 I now teach educators and parents throughout the world, and write books about using brain research to guide parenting and teaching strategies. Q: Is there any advice, based on your understanding of the new brain research, that you would give to out-of-school time workers? A: The knowledge gained from brain research, when applied to learning, can energize and enliven students’ minds, improve memory, focus, organization, and goal setting. Strategies that incorporate brain-based learning research include building upon children’s natural curiosity with discovery and investigations to sustain their inherent love of learning. The school years are critical times in a children’s development of self and relationships to the world. This is when educators need to give children opportunities to gain access to a new compendium of tools they will need to understand and participate successfully in the world. This approach to teaching enriches children’s classroom experiences, keeps alive their natural curiosity, and cultivates their enthusiasm for life-long learning. New information is being discovered and disseminated at a phenomenal rate. It is predicted that 50% of facts children are memorizing today will no longer be fully accurate or complete in the near future. Children need to know how to evaluate sources of accurate information and then to use critical analysis to assess the veracity/bias and current/potential uses of new information. Students need to have school experiences to prepare them to analyze information as it becomes available, adapt flexibly when what were believed to be facts are revised, and to collaborate with other experts on a global playing field. These qualities require educational experience that not only build knowledge but also tolerance, judgment, critical analysis, evaluation of source validity, risk assessment, goal-planning, ability to articulate their ideas clearly, and cognitive flexibility, including willingness to consider alternative perspectives. To build the capacity for creativity and innovation, students need opportunities to make decisions and deal with choices and uncertainty, rather than be given the answers or told what is right. This starts when children are young and receptive to taking on challenges, but still knowing teachers are there for support, feedback, and to encourage their revisions. With these higher cognitive opportunities to build the neural networks of cognition and reflection, curiosity is promoted. Students' brains are attentive because they learn to focus attention on and evaluate information to satisfy their curiosity. This makes school a natural progression of childhood curiosity and builds not only a positive attitude toward school, but promotes the neural construction of thinking and innovation. With the support and experiences of top summer and after school learning, smiles can replace groans and eye-rolls. This is when the correlations of neuroscience to education return to children the joys of learning. Children’s brains will have the capacities to achieve their highest potentials as they inherit the challenges and opportunities of their 21st century. Summer is an important time for learning. Summer youth programs enjoy flexibility with access to the community resources which makes alignment with the Learning in Afterschool & Summer principles a natural fit. The Partnership for Children and Youth recently launched their statewide Summer Matters Initiative, that is the focus of our interview with Executive Director, Jennifer Peck. 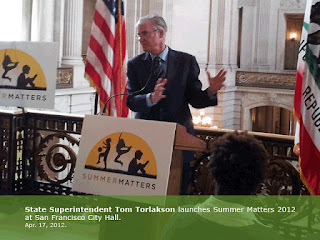 Q: Can you briefly describe the statewide Summer Matters initiative that you recently launched in San Francisco? A: Summer Matters is a statewide campaign with the goal of increasing access to high quality summer learning opportunities in California. The Campaign has several components: Building awareness amongst policy makers and the public about why summer learning is so critical for all students; Building models of high quality summer learning that complement the best of after school learning programs; Developing and advocating for policies at the local and state level that support summer learning opportunities, particularly for low-income students. Q: Why did the Partnership decide to focus on this issue? A: Summer learning loss is a phenomenon we’ve known about for 100 years. 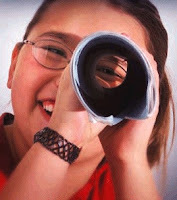 But more recent research has linked summer learning loss to the achievement gap, and the information is truly stunning. 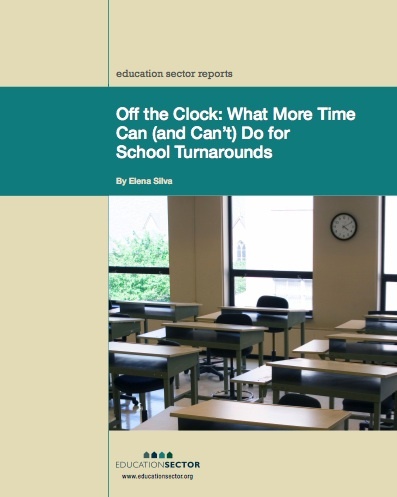 Low-income students who lack educationally enriching opportunities in the summer are losing significant ground in their learning, and fall further and further behind each summer, resulting in a significantly larger achievement gap. It’s become clear that educational equity won’t be possible unless we address summer learning loss. Q: The California legislature allocates a large sum of money each year for afterschool programs. Is there funding support for these programs to continue operations after the school year ends? 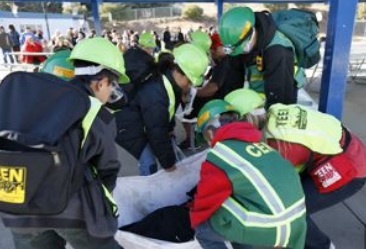 A: A small portion of our After School Education and Safety and 21st Century Community Learning Centers dollars are dedicated to summer programming, but it doesn’t come anywhere close to meeting the need. Senate Bill 429, championed by Superintendent Torlakson and approved last year, provides more flexibility in these summer supplemental dollars which is a step in the right direction, but much more needs to be done to identify resources for summer programming. Ultimately, we believe that our after school dollars should be designed to offer structured, engaging learning opportunities all year long, with seamless and aligned staffing, relationships, curriculum and goals. 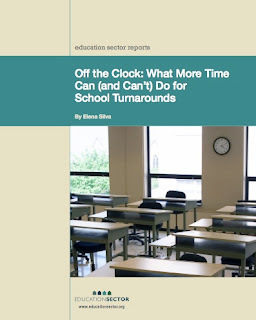 While summer should look and feel different from even school-year after school programs, there should be continuity of effort. Q: The Learning in Afterschool & Summer project is promoting 5 key learning principles that we believe are important for formal and informal summer learning: learning activities should be active, collaborative, meaningful, support mastery, and expand the horizons of participants. 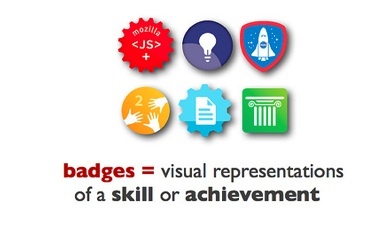 Do you agree that these are relevant to those who design summer learning experiences? If so, why? A: Absolutely! Summer offers more time to bring these principles to life. With a 6 to 8 hour day – free from the requirements of the school or even after school environment – summer allows staff and youth to collaborate more completely. Staff and youth can work together to expand on topics and activities that are particularly interesting to young people, and they can flex the program schedule to ensure that youth gain skills and knowledge through a variety of interactions. This varied and deep engagement is hard to find in more traditional learning environments, but, as the LIAS movement has clearly demonstrate, is well-suited to summer and critical to young people’s long-term interest and success in learning. Q: How can youth advocates and program leaders follow new developments in California regarding summer learning opportunities? A: The Summer Matters Campaign needs partners and advocates up and down the state. We have developed information pieces, messaging, and public awareness and advocacy tools we want to share. The best ways to get engaged and follow developments are to visit the Campaign website, and to sign up for the Partnership’s e-newsletter click here. Jennifer Peck was a founding staff member of the Partnership For Children and Youth in 2001 and became its Executive Director in 2003. Jennifer leads a coalition of California organizations advocating for new federal policies to improve the effectiveness of after-school and summer-learning programs. She was also one of our speakers at the How Kids Learn Conference in January 2012. Jennifer was recently honored by the Afterschool Alliance as an Afterschool Champion at the Nation's Capital.